If your looking to use your VW T5 for more than just work, then why not make it in to a Kombi. 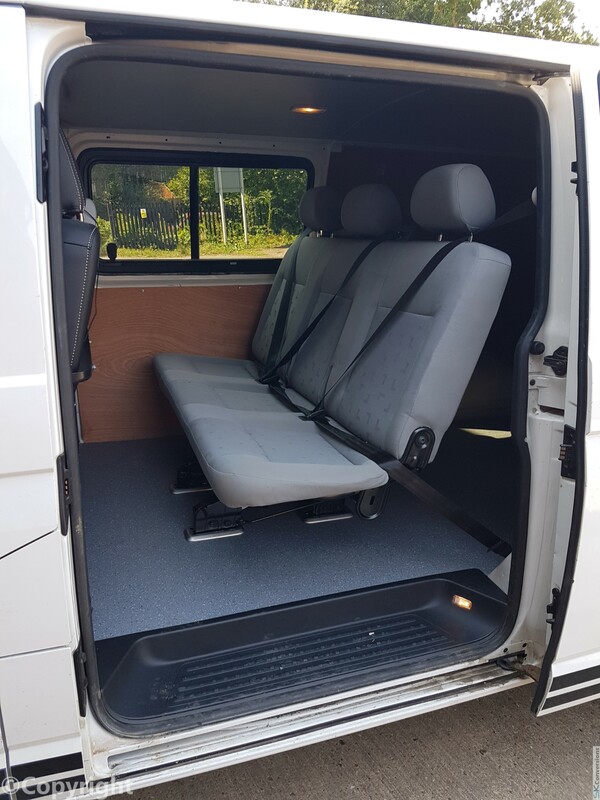 We can fit out your T5 for use by the familiy as well as for work. We have a number of different option for you to choose from. Including full Kombi conversions or simple seat fitting. We use Genuine VW seats and belts for our conversions which are installed complete with original VW quick release floor brackets. We use Genuine VW seat and belt fixing brackets to guarantee a safe installation. Each installation is photographed and a covering letter supplied to show the process we have carried out to your van is safe for insurance purposes. If you already have your own genuine VW kombi seats but can't face fitting them. We offer a fitting only service. This includes all the under floor support brackets. The most basic Kombi upgrade is simply fitting a twin middle row seat and pillar mount seat belt to your van. The next level up gives you three rear seats in the form of a bench seat mounted in the middle row position as well as pillar mounted seatbelts. The most common installation we do is the 2+1 seat assembly mounted in the middle row position as well as pillar mounted seatbelts. This gives you a lot of flexibility in terms of seat configurations. - Full ply lining and insulation with carpet lining colour of your choice (from the range of available colours, click here) through out the rear of the van. For LWB conversions add £200 +vat. - Full ply lining and insulation with carpet lining in a colour of your choice (from the range of available colours, click here) through out the rear of the van. 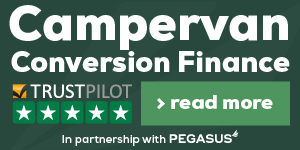 Our partners at Pegasus Finance can help you fund your Kombi conversion.